DMclean is offering great promotion for anyone that is interested in cleaning carpets, by referring to this page you can get price reduction on your carpet cleaning from DMcarpet Clean. We would love to meet with you to discuss your cleaning needs. Call us for a free in home quote. We understand that not every stain is this same and that entire carpet have to be examined before treatment with our spray and equipment. Additionally, our professional cleaner will make sure that carpet is clear of any dirt that can dissolve in process and make cleaning ineffective, for this reason standard procedure is to vacuum carpet prior to the procedure. Using Karcher cleaner guaranties the greatest quality and professional finish. Our range of equipment and cleaning products is constantly expanding so our services can be even more effective and affordable. At this stage some dirt will be removed and carpet will be prepared for further stages. Only small furniture is moved by our specialist; as for bigger sofas and beds our client is responsible, however if we are informed before arrival about necessity of moving furniture we can arrange additional person to assist with that or prepare extra time for this task. Pre spaying is very important for stain removal and effectiveness of our service, at this stage stains identified as more problematic at examination will be treated with care. Pre conditioning will irritate stains that have been identified as hard to remove, this will allow for chemicals to dissolve them more effectively. This pre conditioning will be conducted with specially designed brush that is safe for the carpet. 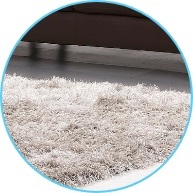 At this stage spray and extraction hoover will vacuum dirt with detergent applied in previous stages. "Cleaning carpets and rugs with spray and extract equipment" - this may mean nothing to you. Most important for you to know is that we know our business and jobs we are completed with full satisfaction. We base our business on customer relationship and word of mouth.